Made by Petit Ami, this is the sweetest little sailor suit for your toddler! Perfect for portraits or any occasion, this light blue cotton blend sailor suit is made in the button on style that has enjoyed popularity since the 1930s. 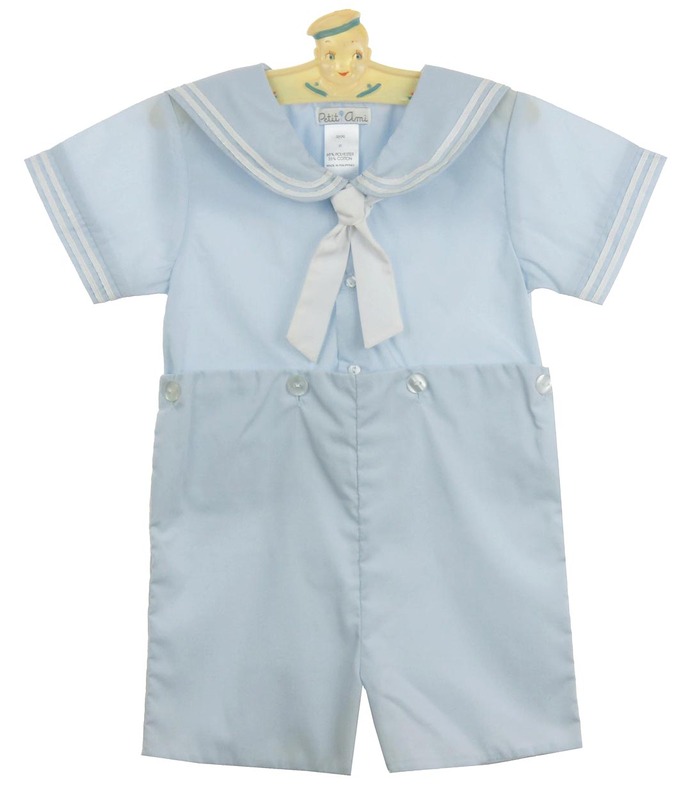 The top features front buttons and a classic blue sailor collar and short sleeves trimmed with white braid. A little white sailor tie finishes the nautical look. The shorts button to the top in classic style so there's no worrying about keeping shirttails tucked. Fully lined, the shorts snap in the crotch for quick changes. 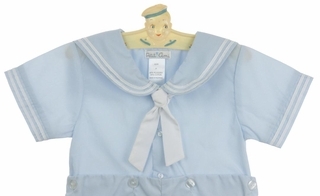 This sweet little sailor suit will take your toddler anywhere! Note: This suit is also available in navy blue and in white in baby boy and toddler sizes. See below.